British scientist and astronaut, Helen Sharman OBE, is the first speaker to be announced for the Cass MBA London Symposium 2016. Helen became the first Briton in space in May 1991 when she launched on a Soyuz spacecraft to spend 8 days orbiting the Earth, most of that time on the Mir Space Station. She will celebrate the 25th Anniversary of the mission in May 2016. During her talk, Helen will take the audience on a journey into Space, describing the seemingly endless training and preparation, the launch, how weightlessness feels, what it is like living and working in space, the team work and team spirit, and adjusting to life back on Earth afterwards. Helen says, “We should push forward not only our own individual boundaries, but also the boundaries of what humans believe is possible. People are the biggest limitations in our own lives. There's a huge amount we can do and we should make the best use of our lives for the benefit of the world”. Helen’s extraordinary story began after she responded to a radio advertisement and was one of two Britons selected for astronaut training out of almost 13,000 other applicants. The programme, named Project Juno, was a co-operative arrangement between the Soviet Union and a British company set up to manage the Mission. “Helen epitomises the theme of this year’s Symposium - Explorers and Discovery. To hear directly from Britain’s first astronaut will be an invaluable experience. 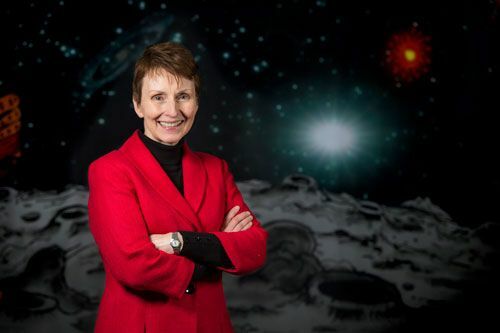 When organising the Symposium, we seek out inspirational individuals who can offer our students a truly unique perspective and broaden all of our horizons – Helen Sharman more than meets this criteria. We are also extremely pleased that she has agreed to be involved in the Symposium during the 25th anniversary year of her space mission and look forward to celebrating that extraordinary achievement with her”. The inaugural Cass MBA London Symposium was held in 2014 to celebrate Cass' unique network inside the heart of the global city. It mixes thought leadership in plenary sessions with a ‘backstage pass’ to some of London’s most iconic locations, brands and organisations which drive the city's prosperity - from the Treasury to the Ministry of Sound; Central St Martin's to Lloyds of London and from Soho to Savile Row.